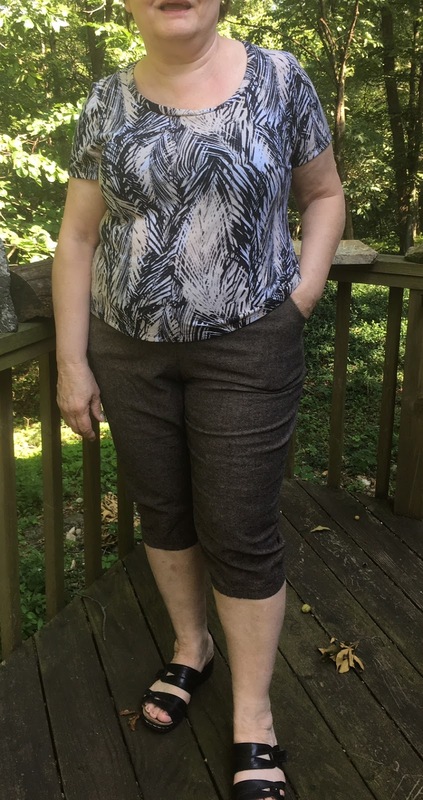 I finally worked on pants from my SFD pattern, made a pair of pajama pants, compared them to my previous favorite pants pattern, and adjusted them. 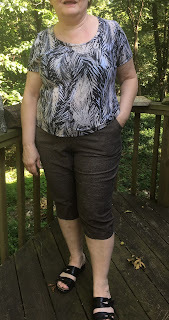 Then I made a pair of linen capris and a pair of brown linen pants. Both of them fit well, even thought they loosen up a bit as the day goes on.